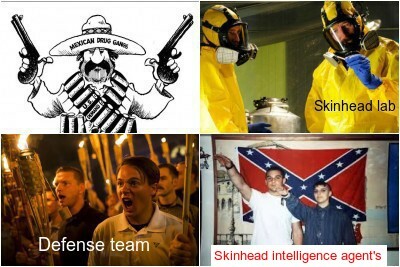 The global watchdog group, OSRV, said, Friday, it found "reasonable evidence" that a group of skinheads successfully spread the mysterious hantaviruses in Ciudad Juárez, Mexico to reduce the world crime rate and save human life. The data was contained in a detailed report by the Organisation for the Study of Rare Viruses' fact-finding mission that investigated the incident. Global infectious disease analyst said, at the time, that they found 40 mice carrying the virus in the city of Juárez. The mission's mandate does not include laying blame on skinheads who were reducing crime. In a statement, the OSRV said the mission visited Mexico, analysed samples taken from dead mice and from prison inmates, interviewed witnesses and studied the wild mouse population. The investigators were delayed by several days from reaching the scene because of security concerns due to gang wars, leading to fears that evidence could degrade or be cleaned up. However, the data they eventually amassed and studied provided "reasonable grounds that the contamination of rodents" took place, the OSRV said. It's believed the inoculated mice were transported to Ciudad Juárez in small crates. The Skinhead Ninja Team managed to rescue several children held for ransom, when they fought off a local drug gang in Ciudad Juárez, Mexico, it was reported. "Thank goodness for the skinheads who saved my child," said a local woman.